I hope everyone’s 2017 is off to a good start. I appreciate all of the positive feedback from my Mexico Beach market report that I sent out earlier this month. Things have gotten busier since then and thus delayed this follow up. Buyers are through with the holidays and seem past the New Year and election jitters. They have been looking for the right property in solid numbers again. I’ve put 4 of the homes that I have listed under contact since January 16th with these two listed for a total of 3 and 7 days before going under contract. It’s also been positive to see two listings that I’ve had for 236 and 164 days receive offers that the sellers have accepted in the last two weeks. (I expect these types of things later in the Spring or Summer, but this kind of activity in January is very positive.) From Mexico Beach to Indian Pass, there are now a total of 78 properties under contract with 36 properties already sold this year. I’ve also been meeting with a number of potential sellers that realize the market is up and are trying to decide if now is when they should sell or not. It’s a tough call with prices far lower than peak prices, but up considerably from the lows as well. Unfortunately, none of them or myself have a crystal ball, and there are many factors that affect this decision. The majority have decided they are confident in the market, and that they feel it will continue to move up, thus they will not try to sell this year. The rest of this update is dedicated to the Port St. Joe area. This area is doing by far the best it’s been doing since the real estate boom and subsequent crash. The whole area is much more upbeat with the most vibrant outlook it has had in years. There are new businesses opening and not nearly the number of vacant commercial properties as there were a few years ago. Other businesses are expanding, and there are more and more full time residents as well as visitors. The schools are doing well with class sizes increasing, the sports teams are winning, and the academics were once again rated highly. Port St. Joe real estate has seen a boost from the overall economy as well as more buyers are starting purchase in “town” for a 2nd home. 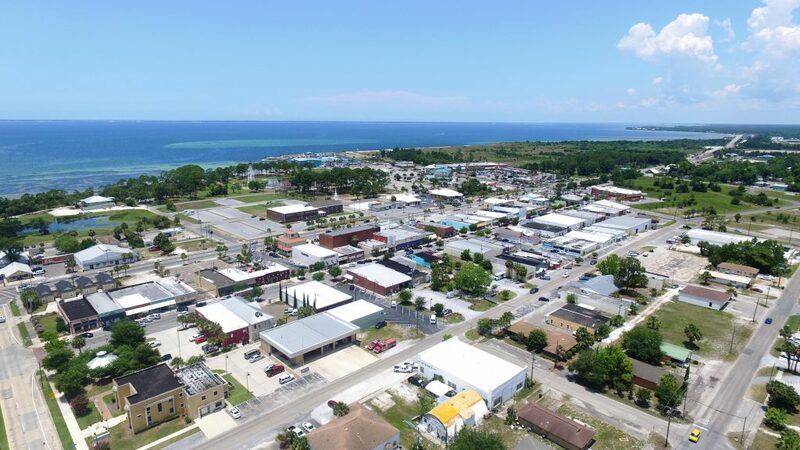 They’ve found there is a lot to do in Port St. Joe, and prices for comparable homes are more attractive than the beach markets of St. Joe Beach/Mexico Beach to the west and Cape San Blas/Indian Pass to the east. The Port St. Joe market on MLS includes four individual markets: Highland View, the city of Port St. Joe, Oak Grove, and Jones Homestead. The city of Port St. Joe segment of this market has seen the biggest increases in demand and value. Jones Homestead and Oak Grove also saw improvement in housing values. A zoning change made in 2015 has given Oak Grove and Highland View owners a nice boost in lot sales. These are now the only properties close to the water that allow new owners to use them for RVs since the county changed zoning laws and excluded St. Joe Beach and Beacon Hill in 2015. A total of 34 lots sold in 2016 down from 39 in 2015 and nowhere near the 187 lots sales in 2004. However, average selling prices saw a big jump in 2016. 2015 didn’t have a single lot sale over $50,000, and there were 14 sales over $50K in 2016. That’s not to say that a $30K lot went up past $50K, but more premium lots like those closer to the water sold in 2016 while all prices moved up to some degree. I did exclude the $700K sale made by 98 Real Estate for the old Highland View school property in coming up with the average sale prices. There is still a decent selection of vacant lots with a total of 64 listed and 25 priced at $40K or less, including 10 located in the city. 2015 saw the most homes ever sell in the Port St. Joe market with 116 sales. 2016 was 2nd best with 102 sales. I believe the main reason that the number of sales went down wasn’t demand, but lack of homes on the market. Below are the average selling prices of homes. I couldn’t believe there wasn’t a larger increase since 2015. I know the average home is selling for at least 10% more than a comparable one sold for in 2015. When I looked into the homes that sold in more detail, many were in low value areas or homes that needed significant work. These sales held the average selling prices down. I can even see a trend of increasing prices from the first 6 months of 2016 to the 2nd half. 2017 is shaping up to be a heck of a seller’s market for homeowners. People are wanting to buy homes in this area with an average of 96 homes a year selling over the last 3 years. There are still as many, if not more, people looking to buy right now as there have been in recent years. The problem for these people still looking to buy is that there is almost nothing left on the market. We are officially at a 12 year low in housing inventory with just these 29 listings left. These kind of supply and demand numbers point to more substantial rises in values than we have seen in some time. I believe they’ll almost certainly also lead to an increase in new construction, especially based on the large number of relatively low priced vacant lots still available. All of these statistics point to an exciting 2017 for Port St. Joe real estate with a very probable chance of solid rises in housing prices. I haven’t even mentioned the elephant in the room which is The Port and more specifically Eastern Shipbuilding. The Port Authority is continuing to make progress toward bringing jobs to the area and furthering the functionality of The Port. A contract awarded to Eastern Shipbuilding of Panama City for $10.5 billion is going to add jobs to the Panama City area for sure, while possibly adding jobs directly to Port St. Joe. Eastern has 20 acres leased from The Port where they are considering locating part of their operation. Any significant job growth will be huge for a town of this size.